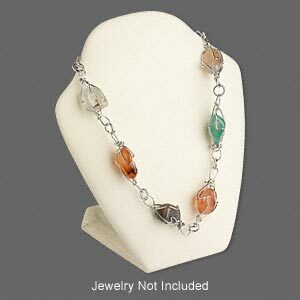 Display, necklace, velveteen, black, 4 x 3 x 1-1/2 inches with VELCRO®-style tab on back with adjustable angle. Sold individually. Item Number: H20-2346PK Have a question about this item? 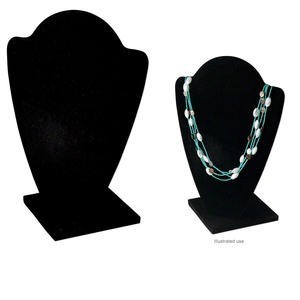 Showcase your necklaces just the way you want with velvety displays designed specifically for holding and adjusting necklaces. Back of display has a VELCRO® strips that allow you to set the length of drape in your necklace, hiding the remaining chain behind the stand. 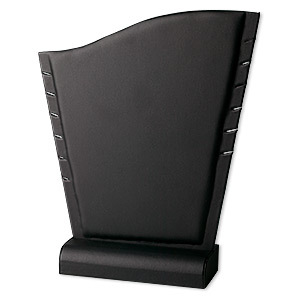 Use the adjustable base to set the angle in which your display rests. Creases and wrinkles in velvet and velveteen displays can occur during shipping and storage. Brush well and steam to revive the fabric. Ironing is not recommended. 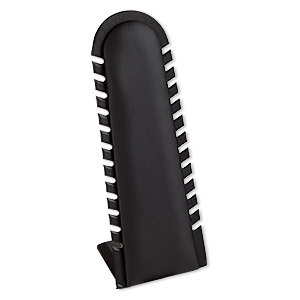 Display, necklace, leatherette, black, 4 x 3 x 1-1/2 inches, VELCRO®-style tab on back with adjustable angle. Sold individually. 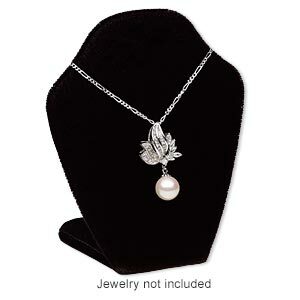 Display, necklace, velveteen, white, 4 x 3 x 1-1/2 inches, VELCRO®-style tab on back with adjustable angle. Sold individually. 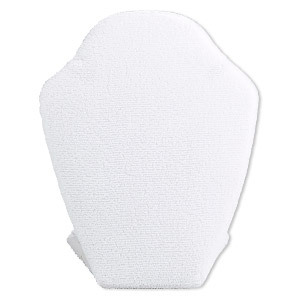 Display, necklace, leatherette, white, 4 x 3 x 1-1/2 inches, VELCRO®-style tab on back with adjustable angle. Sold individually. Display, necklace, leatherette, cream, 4 x 3 x 1-1/2 inches, VELCRO®-style tab on back with adjustable angle. Sold individually. Display, necklace, velveteen, black, 6 x 4 x 2-1/2 inches, VELCRO®-style tab on back with adjustable angle. Sold individually. Display, 12-strand necklace, Nabuka leatherette and cardboard, black, 12-1/4 x 4-1/2 x 3-1/2 inch. Sold individually. 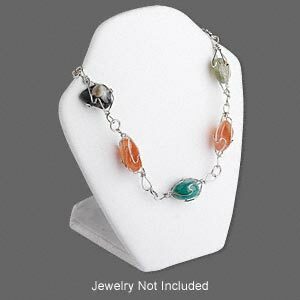 Display, necklace, velvet, black, 13-1/4 x 9-1/4 x 8-1/2 inches. Sold individually. 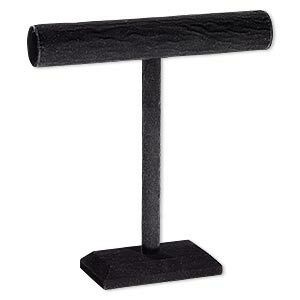 Display, necklace, velveteen and wood, black, 12 x 11-1/2 x 3-1/2 inches with 2-inch bar. Sold individually. 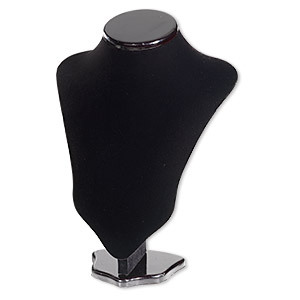 Display, necklace, leatherette, black, 10 x 11-1/2 x 1-1/2 inches. Sold individually. 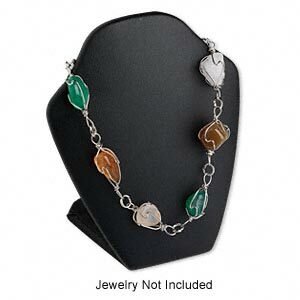 Display, necklace, velveteen and wood, black, 10-1/2 x 13 x 4-1/2 inches. Sold individually.